Click on image above to be taken to YouTube for the video review. My little man...not so little anymore! He's almost 3 and has requested that he have his own pillow for his bed (crib). So I started the hunt for a good quality toddler pillow. 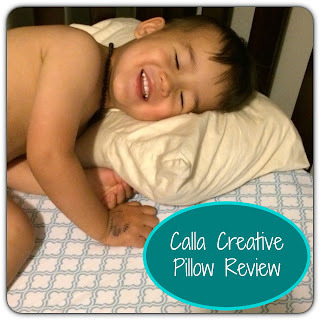 I received this pillow from Calla Creative to test out, and not only do I give it a big thumbs up...Greyson does too! Another family favorite and easy to make. I can't believe I haven't already posted this! If you like rice, beef, sugar, and salt...well this is the recipe for you!